Maybe I live in Mumbai but my heart is in Gujarat. Whenever there is a long weekend either I am travelling to some unknown places or I am in Surat with my brothers. For my kinsfolks, all this travelling is crazy and wastage of hard-earned money. Thus, they never spare a chance to tease my know-how about the places in some or other way. This time when Rann Utsav had just ended my brother raised up a query of whether I know the legend of how Rann was born. Quite obviously, I popped up with the earthquake version, to which his neck moved sideways while his lips just smirked and a tale came up. I would surely love to share the tale but not before introducing you to the ancient capital of Gujarat, Champaner, an ode to lost glory, the memoirs of which have befriended me since my visit. Just 47 Kilometer away from the city Vadodara, Champaner seems hidden in the veil of time. Even when I call Gujarat as my second home, it was during my recent trip when I visited Champaner. The interesting fact about this galore of marvels is that it is named after the general of King Vanraj Chavda who founded Champaner. You must have heard about the name being inspired by Kings, Queens, forbearers, beloveds or acquaintances yet the General is rare I must say. But this isn’t all that’s quirky. You know when Mahmud Begada acquired Champaner and Pavagadh fort in 1484, he took 23 years to embellish and rebuild it, only to lose it again. As you peep into the glorious past of Gujarat through this UNESCO world heritage site, you would know how dear, perfection was to the people of the past. The artwork on the cenotaph of Nagina Masjid surely confirms it. And I believe every beautiful sculpting done on the walls of marvels here in Champaner look like a ritual which was followed rigorously. 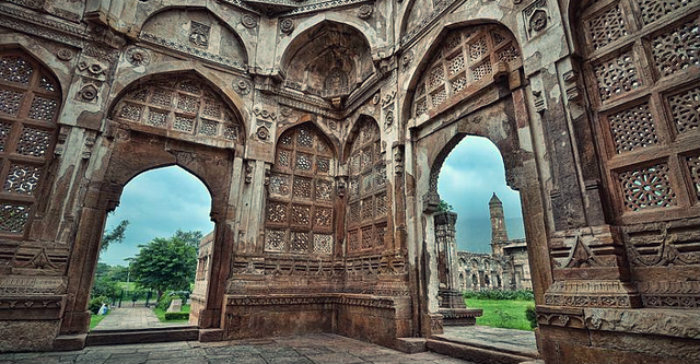 While the Muslim Ruler added magnificence to Champaner, but the brilliance was set way before its acquirement by them. The Rajput Kings of Pavagadh along with the fortification of the place also built an impregnable water management system. Rainwater harvesting which we still need to adopt ubiquitously was embraced all over the town by them. 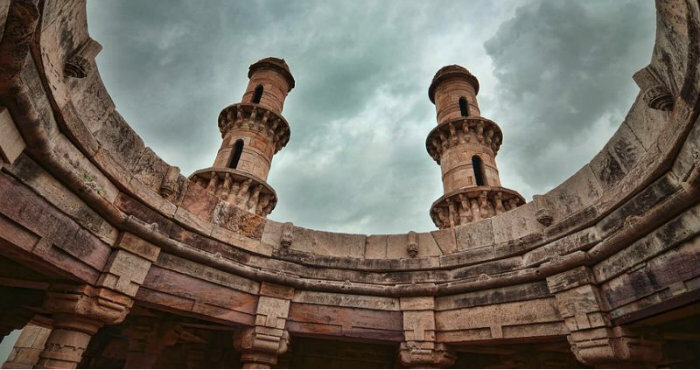 They even had constructed tapered ledges at the base of the slopes that relayed the rainwater and downhill streams to series of inter-connected lakes and finally in the grand Bada Talao of Champaner. The vision of these rulers was impeccable, or else the water scarcity would have taken a toll over the residents. No doubt Champaner is called the city of thousand wells. 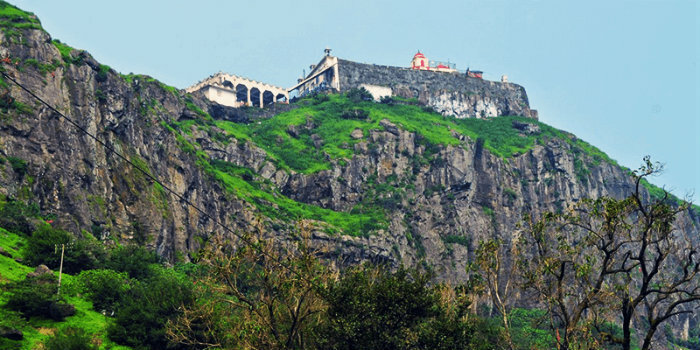 For those who love trekking, hills of Pavagadh offer 5-6 kilometres of the trek for reaching the shrine of Mahakali which is also one of the Shaktipeeths. It’s known to be ancient, dating back to 11 the century and backed up by an age-old tale of Lord Shiva’s rage on Sati’s death. It is believed that it was here where the deities toe fell and I guess this is the reason it is called Pavagadh. And Just So You Know, you may even take up the ropeway which takes around 30 minutes to transport you up. By the way, the rope cart offers some spectacular panoramic views. I bet you would be so lost absorbing the virescent aura that you wouldn’t know when you reached atop. Remember, in the beginning, I left a tale untold. So, the legend which my cousin told me about Rann of Kutch, says that a sage named Dharmonath stood on his head for 12 years in penance for his wrong deeds in past. He was obliged by the deities but on one condition. As he would open his eyes wherever he looks first, it would turn barren. And you can guess where he would have looked? Yes, Rann of Kutch. Isn’t it amazing that for everything which exists in our country there is a legacy which swings and swirls behind it? I must say the Rann’s story is quite a contrast to Champaner which took literally a lifetime to get those sedulously worked marvels! Did it come to your mind that why this ancient glorious capital went into the arms of solitude? It is unimaginable when it was so well designed and even the natural calamities were dealt judiciously. But I think fear takes it all. And it was in 1535 when Humanyun attacked Champaner and ransacked its affluence, the people left its side. The beautiful building embellished with conscientious architecture still stood as they were but its life escaped.